Dainese loves to tout that their D-air® system has been in development for 22 years. Their official timeline states that consequently, in the year 2000, “the first prototype of an airbag shaped around the human body” was developed. Now, for the 2019 season, Dainese has introduced… motorcycle gear with their D-air® system… for women! I shouldn’t need to point out that women are humans too, but apparently I do, because Dainese does not note that the D-air® system has been shaped around the male human body for those 22 years. Are you wondering why that’s remotely important? 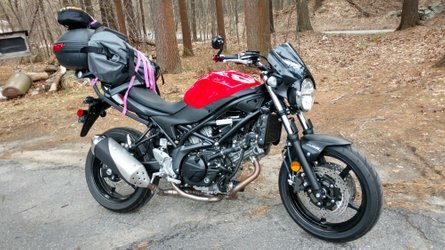 To anyone in the audience who has never tried to shop for women’s motorcycle gear, and I don’t mean leather vests with tassels or high-heeled boots with buckles on them, but actual vented, armored, abrasion resistant and maybe if we’re feeling REALLY feisty, waterproof, serious and proper motorcycle riding gear for women, let me tell you. It is a bear. An epic quest. Occasionally, a complete impossibility. If you have never shopped for women’s gear, next time you are in a motorcycle showroom or any place where you might find decent motorcycle gear, look for women’s sizes. Now tell me what the percentage is, men’s gear to women’s gear. 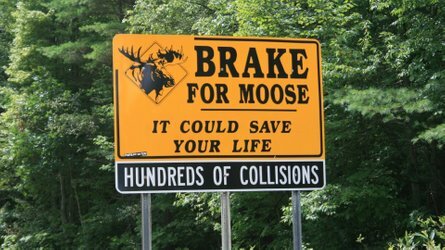 If we’re 20% of the riding populace, couldn’t we have 20% of the showroom? Ha, ha, no. Just wear men’s gear, you dudes say? Okay, I dare you guys to find a women’s-cut leather motorcycle jacket that you’re comfortable in. Go try ‘em on. Get back to me. Super comfy right? Yeah nope. I kind of hope Dainese gets equal tons of praise and flack for this particular move. On one hand, twenty-two years before someone at Dainese thought, hey, you know what? Maybe we should make some of these suits to fit women! On the other, well, finally. Thank you, Dainese, for finally taking some of us seriously. 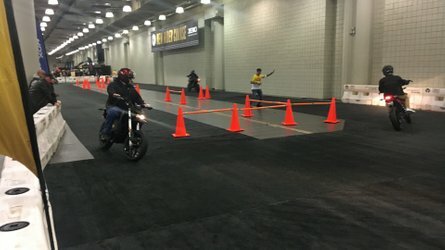 We’re going to keep shouting for the people in the back: women ride motorcycles, occasionally all by ourselves, and we also do it in less than ideal weather, and sometimes, just like men, we crash, and when that happens we’d like to have the opportunity to be as protected as men are. “For the track, Dainese launches the new Misano 2 D-air®, a professional leather racing suit. The airbag system is also making its debut in some of Dainese’s most iconic road gear, from the Avro D-air® suit to the leather Racing 3 D-air® jacket and the Carve Master 2 D-air®, the Gore-Tex garment built for sport touring. 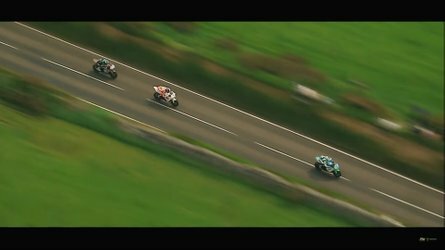 The top-of-the-line Tuono D-air® completes the collection.” That’s five things: one for the track, three for the road, and one specifically for sport touring, I guess? Then, there are three “garments designed for women” with no specified use. That’s how it goes though, Track, Road, Sport Touring or… women. Folks. I am so tired. 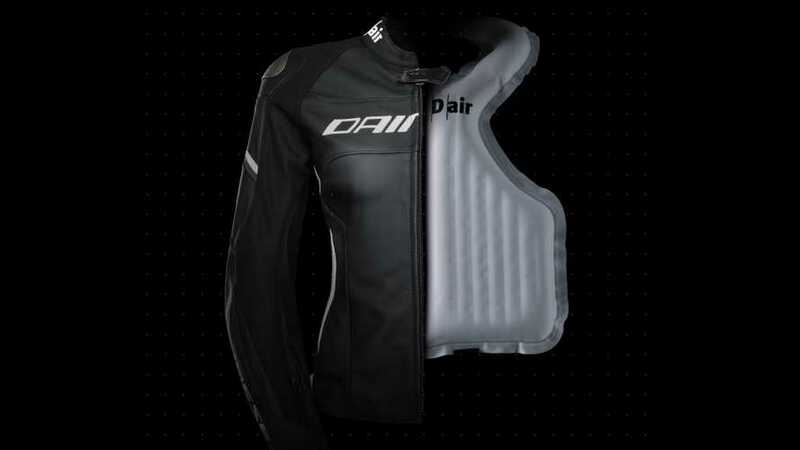 Dainese (www.dainese.com), the world leader in protective wear for dynamic sports and known for incorporating style and design with premium safety features, today introduced the third generation of its D-air® range which now covers a multitude of riding styles for both men and women. The 2019 D-air® range marks the debut of the third generation of the Dainese airbag, which offers improved ergonomics and efficiency. The airbag and algorithm are designed to protect the most exposed areas of the body and to deploy at exactly the right moment. For the track, Dainese launches the new Misano 2 D-air®, a professional leather racing suit. The airbag system is also making its debut in some of Dainese’s most iconic road gear, from the Avro D-air® suit to the leather Racing 3 D-air® jacket and the Carve Master 2 D-air®, the Gore-Tex garment built for sport touring. The top-of-the-line Tuono D-air® completes the collection. For the first time, Dainese is also launching several D-air® garments designed for women, including the Misano 2 Lady D-air®, the first professional leather suit for women equipped with an airbag, the Avro Lady D-air®, and the Racing 3 Lady D-air®. The products from the women’s D-air® line offer the same features and technology as the men's line. Protected by 27 patents, the internal microfilaments are a distinctive feature of the airbag - the heart of the D-air® system - and the microfilaments are the key feature that prevents the bag from losing its shape and guarantees controlled inflation along with even pressure and protection over the entire surface. Due to extensive and ongoing research and the analysis of more than 2,000 activations, the bag in the D-air® system has been redesigned to only cover areas of the body that actually need protection. The D-Air® redesign strikes a perfect balance between safety and ergonomics, ensured by a system that is 37 percent lighter than the previous version. The third-generation airbag is now better integrated into garments and guarantees comfort equal to that of a traditional jacket. Also new for the third generation D-Air® system is the replaceable airbag: after an activation, airbags can now be replaced by an authorized dealer. From the track to sport touring and adventure to urban riding – Dainese’s new D-air® range is the pinnacle of protective gear for the motorcyclist and the result of extensive product engineering and countless hours of R&D and testing. From Dainese athletes at the highest level of the sport to the everyday rider, the new D-air® range is testament to the brand’s commitment to safety for all riders. This week at EICMA 2018, Dainese Group will be displaying its new products in Pavilion 15, Stand I06.